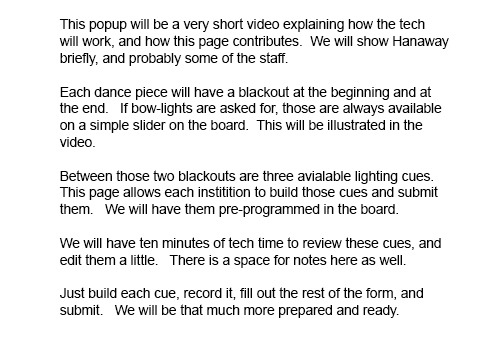 A browser-based light lab for dance and proscenium theatre lighting. Brightness and color controls. Cyc lighting, side light, toplight, plus footlights and gobos. Easy to use online.